"The scenery was very unusual seeing a very majestic volcano standing so high in her own splendid making the surrounding communities nearby to live with awe and pride!" In a very rare opportunity for a traveler like me, I was able to capture the famous almost perfect cone-shaped Mayon Volcano in the province of Albay. At the foot of Mt. 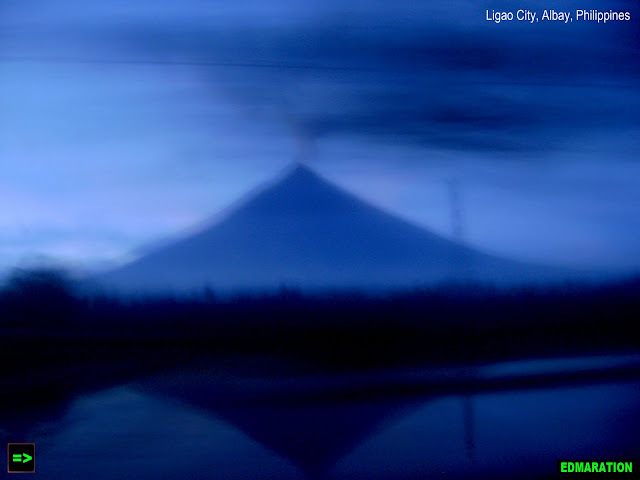 Mayon are several towns and 3 cities and that includes the city of Ligao. 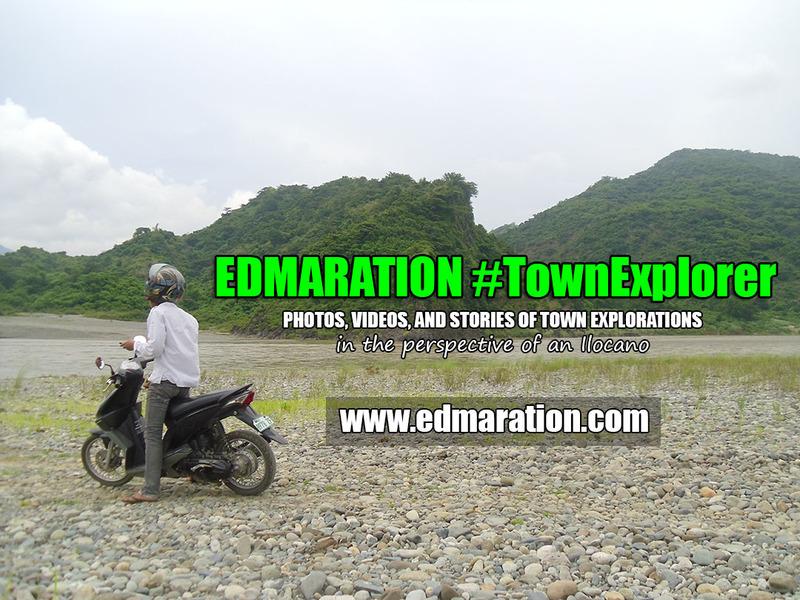 At this angle, I was in Ligao City and in a very nice opportunity, the sunset rays of the sun has colored the clouds around the volcano's crater including the sky. The scenery was very unusual seeing a very majestic volcano standing so high in her own splendid making the surrounding communities nearby to live with awe and pride! Mayon volcano stands very noticeably as if it owns the whole land and pointing up so high as if it rules the communities around it. Truly, Mt. 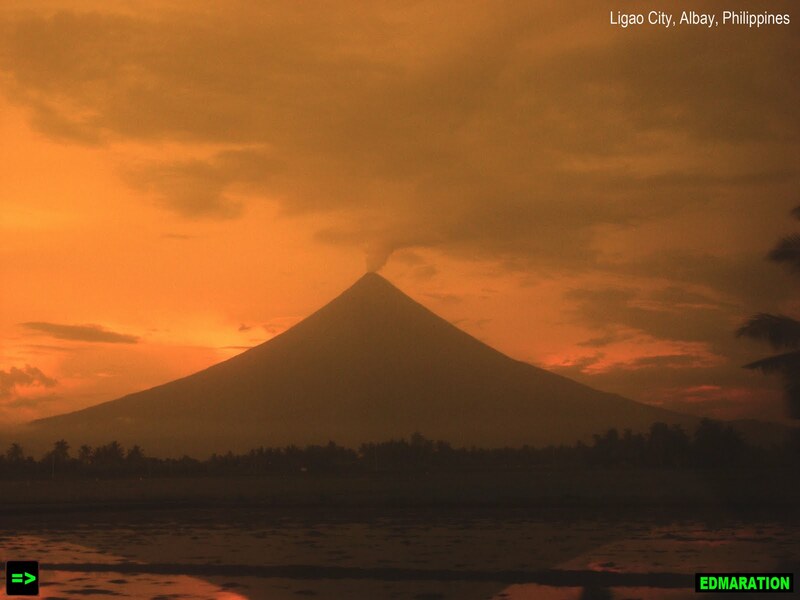 Mayon gives pride and glory for the people around it and living with it. Mayon Volcano rises 2462 m (8,077 ft) above the gulf of Albay. As I was nearing Legazpi city, the angle is going the different way and slowly, the orange reflection is going away my sight. The sun has almost set in and the sunset scene is gone. The next thing is the twilight wherein the light and the darkness are fighting for a space. 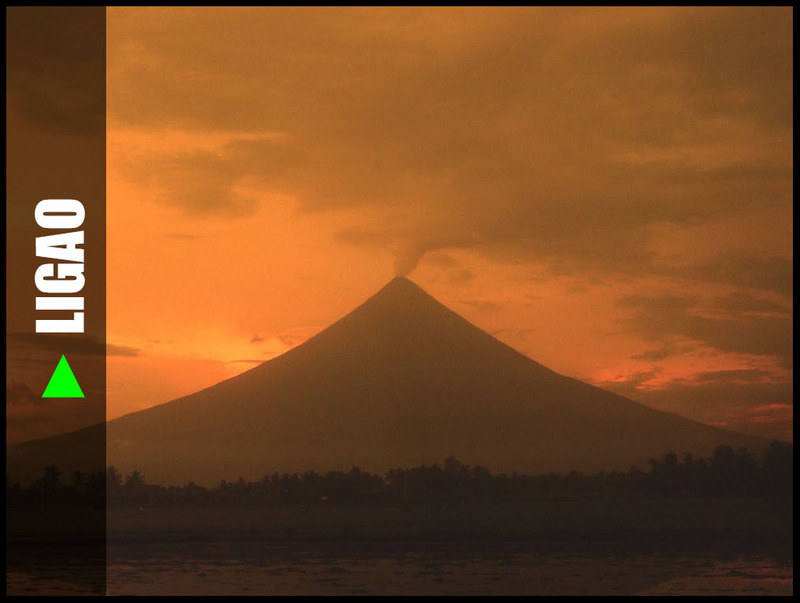 Gladly, the Mayon Volcano continues to become awesome even though sunset's gone and darkness peeking in. 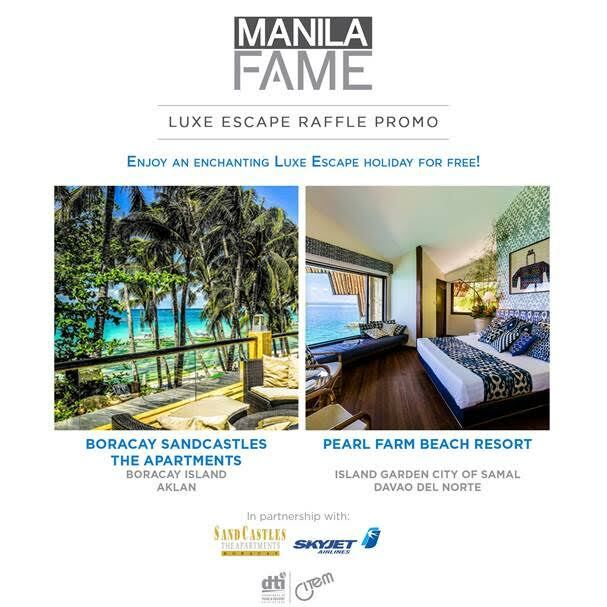 Truly, her beauty is unpredictable giving you different outlook in different time, different condition and different situation. In any case, Mayon can always adapt a beauty regardless of the condition of her surroundings.